Project sign over for this project is scheduled for Friday 10th June 2016 and represents our biggest project to date. We have been working on this project since the autumn of 2015 and momentum significantly gathered pace since the start of this year. A view of the completed development is shown below and more images can be seen in other sections of our website. This project involved the building of multiple units of 44 flats and commercial shops and was completed on time and within the budget of £4.5M. 3. Employment wise we engaged the services of a local plumber and took on a local graduate with a civil engineering degree to help us conclude the drainage work. 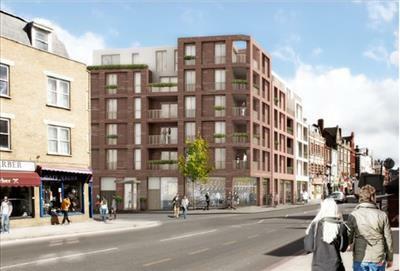 For further details, relating to this project please contact us at info@focusbuilding.co.uk or ring us on 020 8248 0068.